"The case for raising rates has weakened somewhat...We had the luxury of patience." Federal Reserve Chairman, Jerome Powell, explaining the decision to leave rates unchanged. The month of January was quite extraordinary from a financial standpoint in virtually every respect. It is hard to imagine that as bad as December was, January almost made up the losses for all of 2018. While the S&P was down 4.4% for 2018 the Standard and Poor’s Index of 500 stocks was actually up 8% for the month of January. In fact, it was the best January for the S&P since 1987. Even more interesting, it was the best month for this index since October 2015. From the day after Christmas through January 31, 2019, stocks appreciated 15.9% and have already accrued $4 trillion in additional wealth for investors. What could possibly have created this huge reversal of fortune for the equity markets? I will try to explain that phenomenon later in this posting. I have many things to cover that I found interesting this month. One of the beauties of writing about finances is that you get to criticize the politicians who should know better. Also, I need to explain why employment continues to get better and the effect it has on the U.S. economy. Despite all the negativity we have heard during the month of January, the market has continued to move higher and the world has gotten better economically. Throughout this blog, I will explain this phenomenon, as well as why you should not fear the machines, and why the world’s economies are slowing down (don’t worry, that’s a good thing). 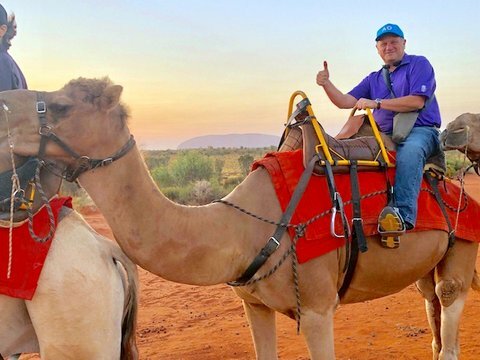 Our client, Dr. Lloyd King, riding a camel! Before I cover all of the terribly interesting economic events of the month, I must report on how excellent January was. Although the one-year numbers continue to be negative, they are only slightly so. Even with the disappointing 2018 numbers, the ten-year numbers are all double digits and quite excellent. For the month of January 2019 Standard and Poor’s Index of 500 stocks was up a sterling 8%, while the one-year returns were - 2.3%, with the ten-year average return up 15%. NASDAQ Composite was up even better at 9.8% for the month of January and only a -0.7% return for the one-year period then ended. For the ten-year returns, the NASDAQ Composite was up 18.6% annually. The Dow Jones Industrial average was up 7.3% during January, down 2.2% for the one-year period and up 15% for the ten-year period. For comparison, the Barclay’s Aggregate Bond Index was up 1% for the month of January, up 2.3% for the one-year period and has ten-year average returns of 3.6%. The difference between the bond index and the equity index illustrates how extreme the differences are between the equity markets and the debt markets. I would have to describe the 2018 4th quarter equity market action as total chaos. I am not sure that the information flowing from the financial journals and commentaries was “fake news” per se, but I would like to emphasize again, as I did during that quarter, that it was definitely exaggerated and unrealistic. For some reason financial commentators believed that the Chairman of the Federal Reserve, Jerome Powell, was on autopilot with every intention of increasing interest rates to the point of throwing the country into a recession. I never understood exactly why they came to that theory, given these are very learned professionals who understand economics and certainly have no intention of hurting the U.S. economy. All of that changed once Jerome Powell indicated that no interest rate hikes were likely needed and that any future rate increases would be data dependent. The equity markets then settled down and moved higher. Rather than seeing at least two rate increases in 2019 as originally projected by the Federal Reserve Board, the futures now reflect no rate increases in 2019. In fact, those same futures indicate we are as likely to see a decrease in interest rates as we are to see an increase. The importance of this change in policy by the Federal Reserve cannot be underestimated. Those of us who have been around the financial markets for decades understand the importance of keeping the Federal Reserve on the sidelines. I witnessed the ups and downs of the financial markets under Federal Reserve Chairman, Alan Greenspan, many times during my life. I vividly remember when he came into office originally in 1987 and his first act was to immediately increase interest rates, creating the largest selloff ever in the equity markets. I also remember in the mid-90s when he increased interest rates 17 times in a row for no apparent reason, which forced the markets into another downturn during the turn of the century. I would like to think that with the help of sophisticated computers, economic forecasters are more accurate than the days when Mr. Greenspan predicted trends on a yellow legal pad. The best case for those investing in the equity markets would be for a non-existent Federal Reserve. It is sort of like a football official. If they haven’t been mentioned by the end of the game, they must have done a good job. There is no reason for the Federal Reserve to want to hurt the economy. Don’t forget that the mandate of the Federal Reserve is two-fold and neither one have anything to do directly with the economy. The role of the Federal Reserve is to control inflation and maintain full employment. Today we have inflation well under control and the number of people employed in the United States is at a one- hundred-year high. Even during January, a period which is historically slow due to bad weather and the decline of the retail industry after the holidays, the economy added over 300,000 jobs. The fact that the unemployment percentage nudged up to 4% from 3.9% is of no concern given that the employment percentage was diminished by new employees entering the workforce. The participation rate for employment is improving, which indicates that more people have found work or are actively looking to enter the workforce, therefore helping the economy. During the fourth quarter of 2018, there also was a huge level of concern from the financial markets regarding the slowing of the worldwide economy. While unquestionably it is true that the economy in China is slowing, it still has a reported GDP of 6% or greater. Also, we saw the economy in Germany slow and the European economies in general breakeven. While there has not been any noticeable decline in the U.S. economy, the rest of the world’s declining economies have raised concerns about the earnings of U.S. corporations. While it may be true that foreign countries would buy less from the U.S., it would also be true that the slowing would basically put the brakes on the Federal Reserve. The last thing that the Federal Reserve would want to do would be to further diminish the opportunity for the U.S. economy to expand when the rest of the world is slowing. The desired result of any Federal Reserve, and what is certainly best for investing in our equity market, is for the world to grow at a moderate pace; just like a Goldilocks economy, “not too hot, not too cold”. If it is true that Europe is slowing and Asia is slowing, this will have a natural moderating effect on the U.S. economy, which in turn will keep it from getting too hot and having to be slowed by monetary means. I think that is exactly what Jerome Powell was saying when he expressed the lack of need for interest rate increases going forward. All of that is absolutely good for investing. With the beginning of 2019 we are witnessing a new Congress and a new group of politicians that often speak without really understanding economic theory. During the 2016 election, many of my son’s friends, who were in college at the time, were huge supporters of Bernie Sanders. Not that they really understood anything that Senator Sanders was saying, other than the concept of free higher education. While that certainly sounded really good to people currently in college, there was really no realistic proposal on how to finance such free education. It is certainly easy to spend money you do not have, but to impact the economy for generations certainly requires a better understanding of past economic events. Who could not be impressed by Alexandra Ocasio-Cortez? It seems like she is on every news program we see and she is certainly the new superstar of this new congress. Not to mention, she is proposing a 70% marginal tax rate for certain high-income taxpayers. We also saw a new proposal for a 77% estate tax from Bernie Sanders this week, and, of course, the ever-present Medicare for all and increased Social Security payments for the masses; all very interesting proposals that will certainly garner votes in their next elections. However, the impact of income taxes on the economy is crystal clear. Three times in my lifetime have sitting presidents actually decreased income taxes and dramatically improved the economy. John Kennedy did it in 1962, Ronald Reagan in 1980 and Donald Trump in 2017. Do these politicians now think that history does not mean anything? It is interesting that in each of these cases the politicians, while defining their position as progressive, realistically are moving to a more socialistic economy. As I mentioned to my son’s friends in 2016, “If you want to see how well socialism works, go visit Cuba, Venezuela, or Argentina.” People forget that Russia had a socialist economy and a communist government during many of the years of the Cold War. But those same people have forgotten that in 1989 the Berlin Wall fell and while communist Russia became very capitalistic, their importance in the world has since dwindled over the years with a GDP today not even as high as Italy. The truth of the matter is that socialism has never worked anywhere in the world and these politicians who think now it will, are clearly misinformed. Last month I wrote a blog regarding the machines that were controlling the ridiculous buying and selling during December. After that post, I had many clients and others inquire how they could protect their retirement from these evil machines. I tried to explain that one of the positive aspects of the machines is that they cannot “short” the market forever. Even they have limited capital and they would eventually have to sell the shorts in order to buy. Don’t forget that the machines were an integral part of the market’s increase from 2009 through 2017. While it was clearly a case of the machines going crazy during the fourth quarter of 2018, this 2019 rally has proven they too had to cover their short positions. My argument then continues to be that you cannot worry about machine trading – worry only about the economy, interest rates, and earnings. If you have a working knowledge of each of these components, the movements on the market should not concern you. Fundamentals outweigh every other factor in investing. So many times during the fourth quarter of 2018 we had clients question whether they were invested properly during this downturn. Yes, it was painful, and certainly we did not enjoy it any more than you did, however, given the higher fundamental belief that the economy was good, interest rates were low and the future was bright, we continued to be fully invested and were rewarded when the market moved higher in 2019. It seemed like there was an avalanche of negative financial news during the last part of 2018 and also during January 2019. And every time I read all of those negative headlines, I would worry about the invested public being misinformed. The fact is, financially things are much better throughout the entire world today than only a few years ago, but if you only read the financial headlines you certainly would not believe so. 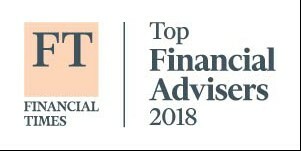 Just how cynical progressive financial news has become was apparent in this week’s Barron’s article regarding advice published in the New York Times. A college student wrote to the New York Times and asked what would be the best way for him to invest the nominal sum of $1,000 in order to begin growing his investments. As quoted by the New York Times, “Investing is flaying yourself to whims of Capitalism. You’re a chump to them.” Have we actually become so cynical as to recommend that investing is a fool’s game? It clearly appears that the progressive New York Times, or certainly this particular columnist, has lost his grip on reality to offer such poor advice to our youth. I ran across a very interesting article recently that was posted in the Wall Street Journal. Basically, this article set out many of the facts that I reported when I did the book review on Factfulness. Basically, what that book said was regardless of the negative whims of financial reporting, the world was actually getting better everywhere. Not only in the United States, but all-around world. As reported by Greg Ip, “the world was getting quietly, relentlessly better” and as recently as 1980 half the world lived in “extreme poverty.” Basically, that means that based on 2011 dollar values, 50% of the world’s population in 1980 lived on less than $1.90 a day. Today, the proportion of people living in extreme poverty fell to an estimated 8.6% last year and in all likelihood has even improved since then. As of September, more than half the world - 3.8 billion people - are middle-class or wealthier. Another very interesting reason for this increase in wealth in the world is that child mortality, illiteracy and deaths from violence have all plummeted, and life expectancy has gone up. One of the examples they gave was that Nathan Rothschild was the richest man in the world when he died in 1836. He died from a common infection, a condition that can now be treated by antibiotics for mere pennies a day. Even though he had the greatest wealth in the world, he did not have the medicine to prolong his life, which today even poor nations have. The basic truth in why the world economy is better and everyone’s lives have improved is that when you create wealth there is the effect of a rising current that lifts all boats. As I have pointed out so often, having people work creates a trickle down affect to improve the lives of many people. In China, as an example, roughly 30% of the population has moved from severe poverty to middle class in the last decade. That is not because someone handed them wealth, it is because they moved from the fields to the manufacturing factories, increasing their standard of living. All of this raises the concern of why the news and the financial reporting are so negative. It is quite clear that most of world has improved economically, yet the criticism is never-ending. As pointed out in this article, “for most Americans life is getting better, median incomes are rising, average health is improving and violent crime, divorce and teen pregnancy are all trending down.” I wish that more people really understood the positive economic effects of increasing people’s standard of living and the downflow of this wealth through many generations, improving conditions for all. We are right in the middle of the greatest spread of wealth ever in the history of the world and yet reading the financial news would indicate otherwise. So where do we stand today and what are the economic forecasts for going forward? There is no question that the worlds economies are slowing, but that’s a good thing since it will slow increases to interest rates. It is also true that earnings will only rise moderately in 2019. But even a moderate increase in earnings already at historical levels is still a good thing. It is also a good thing that as employment continues to rise and the standard of living goes up, we are not seeing any increase in inflation. And it is a great thing that interest rates are remaining low as it appears that the Federal Reserve is on hold for an extended period. As I have said so many times before, those forecasting recessions in 2019 did not have a full grasp on reality. Whether it was intentional remains unclear, but what is awfully clear is that they were wrong. While it is perfectly possible that we might enter into recession in the United States in the second half of 2020, it is also clear to me that the moves made by the Federal Reserve this month might postpone that recession into 2021. In any case, the economy is great, earnings are great and interest rates are low. That is the trifecta of positive news that almost always leads to higher stock prices in the future.